it was not in a hardened state? Certainly on mine, it was aged, dry and brittle but still looked as if it was as akin to old wax as it was 'glue'. 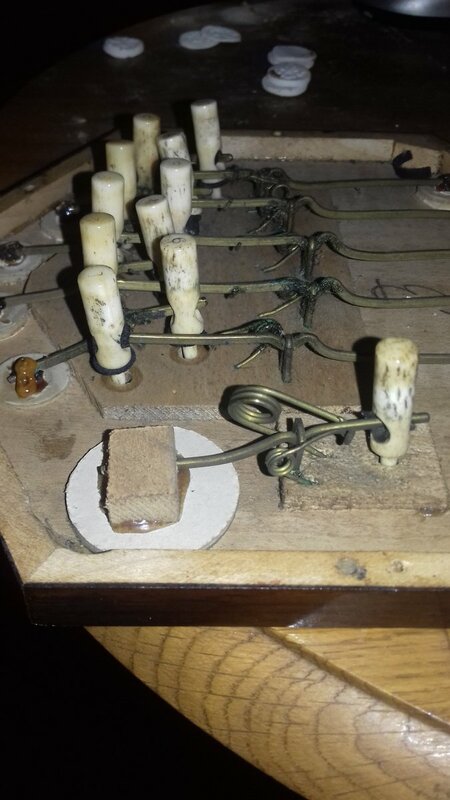 I think it was a dense/bulky form of hide glue, not wax, but having seen the inside of an old melodion where the wax had dried out and become aged, dry and brittle, it wasn't that different and could be mistaken for such. The hide glue that I use is called 'Old Brown Glue'! Thank you for the lever photo. Hooked action and numbered keys look like early Lachenal to me. If Lachenal, @Dowright would you please tell the approximate year of this serial number 11900 ? Circa 1868. Sure looks like replacement bellows and bellows papers. Incidentally, I had not heard of a W J Thomas label. The three Thomas in labels seen by me--many labels--have been given names--Thomas Prowse and Thomas Dawkins, of London, and Thomas S. Guest of Exeter. I am a bit of a techno geek but I cannot imagine that any of today's technology will still be in use by ordinary folks in 2168. Maybe in a museum, but not in somebody's living room. ". For more on this idea, I recommend 'Accordion Crimes' by Annie Proulx, but a warning - it is a dark book. 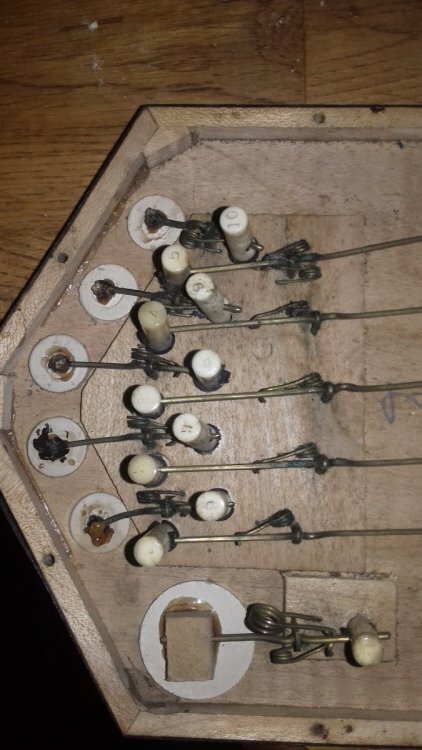 Ok, so the buttons have numbers stamped into their caps with (1) being the left-hand end of the top (C?) row and (10) being the right-hand end of the bottom (G?) row[*]. You did say this in an earlier posting. AFAICT none of your pictures show the pad for the (1) button, but the ones that are shown mostly look like old hide glue to me. I guess that if the wax you used holds then you are good to go - at least for the time being. If you care about this concertina then you should plan on replacing all of the pads soon, and gluing them on properly. 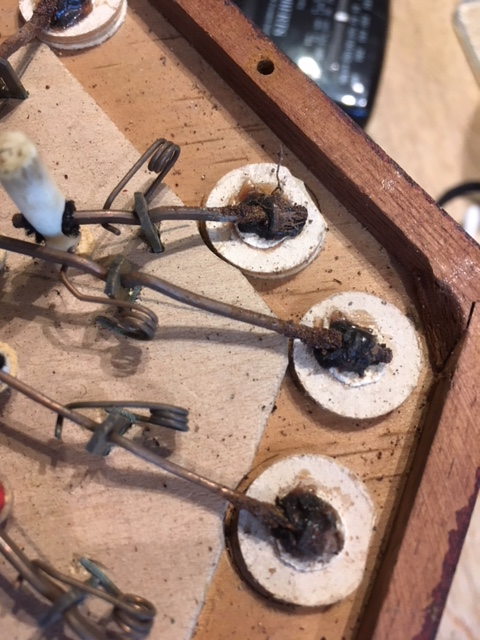 There are probably other issues that need addressing, like the state of the valves (the thin leather flaps that cover the action board holes where the reeds are seated. (If you don't really care about this concertina then please sell it on to a new custodian). 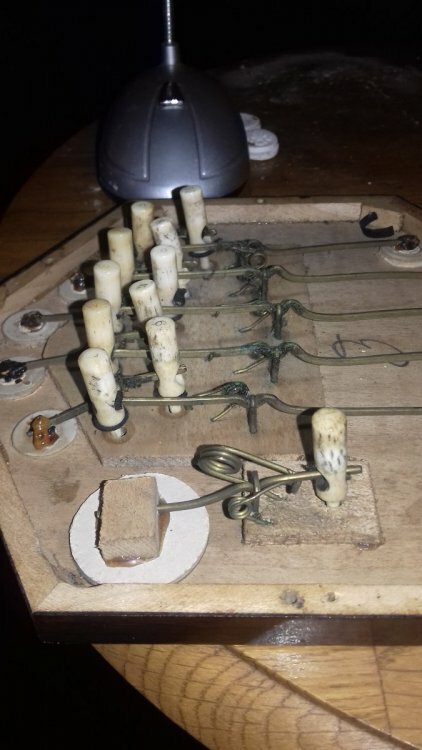 But first, find out if it is playable as it is and if there are any serious issues with it..
push(1), pull(2), push(2), pull(3), push(3), pull(4), pull(5), push(4) then does it sound like a scale of 8 notes? If so, then the key of the top row is whatever note you get when you push(1). If not, then it needs some serious attention from a concertina repairer. Assuming that is OK, then do the same thing with the bottom row on the RHS, if it sounds OK then the key of that row will be whatever note you get when you push(6). 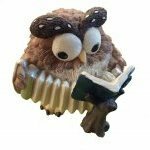 Now, compress the bellows and hold the right-hand end horizontal in your right hand while steadying the left hand end with the bellows still closed with your left hand. Let go with your left hand and time how long it takes for the bellows to open fully on their own with just gravity's assistance. If they open up almost immediately then you have a leaky bellows and/or leaking reeds and/or leaking gaskets. This will need an experienced repairer to fix. Then you can figure out what tools, glues and supplies you need to buy. [*] Who knew that Gary Coover's numbering scheme was invented in 1868!
" 'Folk' music, song and dance are derived from the term "folklore" first proposed by British antiquarian W. J. Thomas in 1846." But the originator of 'folklore" was writer William James Thoms (not Thomas)--1803-1885. Hence, my original response. If so, that's an unusual key for a 20-button, no? Thank you Mr Yagi and Mr Dowright, that's what I was looking for originally, an appr. date of make. The pad I mentioned, has taken a dive, again, so I'll just have a look for the Super Glue, and a couple of 6" nails.